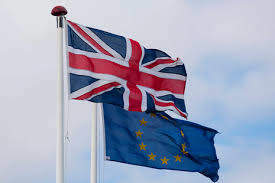 The Government Digital Service (GDS) appears to be stepping up its visibility and involvement in government EU Exit projects, including the government’s digital transformation following its planned exit from the European Union. The organisation is looking for an EU Exit Digital Delivery Advisor to represent both GDS and the digital function for Cabinet Office across a number of prioritised EU Exit programmes and projects at government departments and agencies. The role will include reviewing and advising on the delivery aspects alongside taking on a strong programme management function, the job specification says. The specification makes specific reference to the role-holder contributing to prioritising and monitoring digital functional support for their programmes, including liaising with GDS delivery teams such as GaaP and Verify to ensure smooth delivery of GDS dependencies relevant for your projects. Whitehall departments that the role is expected to work closely with will include the Cabinet Office, the Treasury, the Department for Exiting the European Union (DExEU), the Department for Business, Energy and Industrial Strategy (BEIS), the Department for Environment, Food and Rural Affairs (Defra), the Home Office and Department for Health and Social Care. The role is expected to contribute to a central view of EU Exit by monitoring and reporting on the progress across the risk profiles of programmes and projects to influence and support their approach to leaving the EU. The job specification highlights a need for strong programme management skills, experience in risk management, assurance and reporting, and wider portfolio management skills, as well as experience in designing and delivering large scale technology solution design and delivery working at a senior level. It also would like experience of large scale procurement processes for technology and involved in internal audits and peer reviews of programmes of change. The two year role has a closing date for applications of December 2.